On Saturday, not only did I go for yummmy Japanese dessert, I also discovered my new favorite ramen in Hong Kong at Butao! 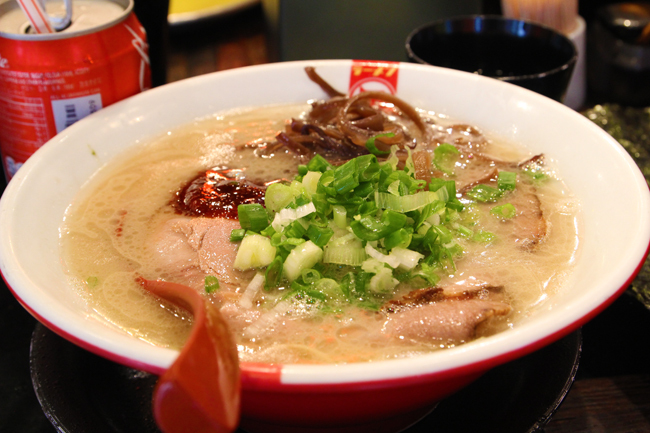 Butao's menu is limited to 4 kinds of ramen, and that's all they serve all day long to the people who queue patiently for it. 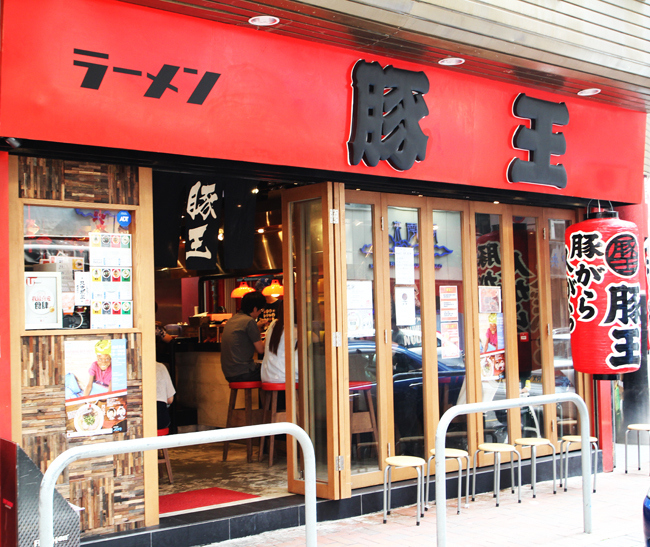 Butao is one of the most famous ramen restaurants in Hong Kong, and lining up is always a must, at least on weekends and on any day for lunch and dinner! 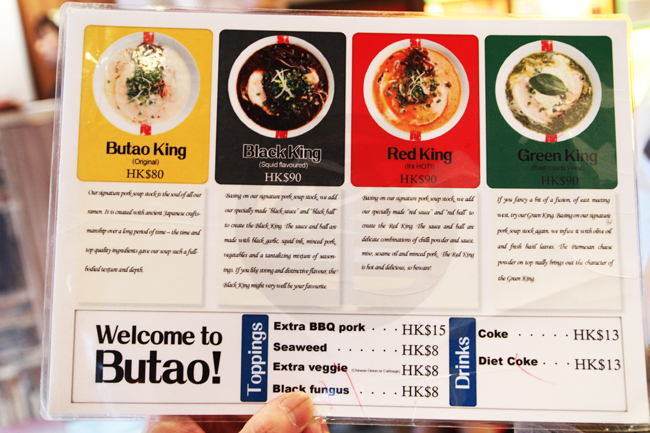 Never mind the queue, Butao is a MUST TRY! 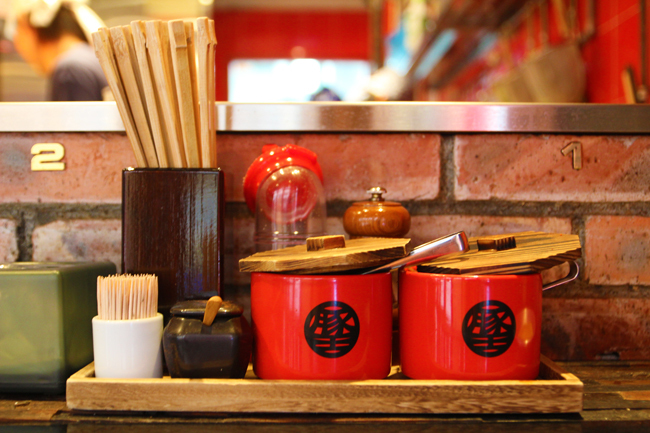 Butao has three branches, in Central, Causeway Bay and Tsim Sha Tsui. I've been to the latter ones, and this review is from the TST branch! Would I recommend it? Yes, you should go at least twice, so that you can try their renowned Butao King and my absolute fave Green King! That looks yummy :3 If I ever go to Hong Kong, I will remember that! Thank you very much! 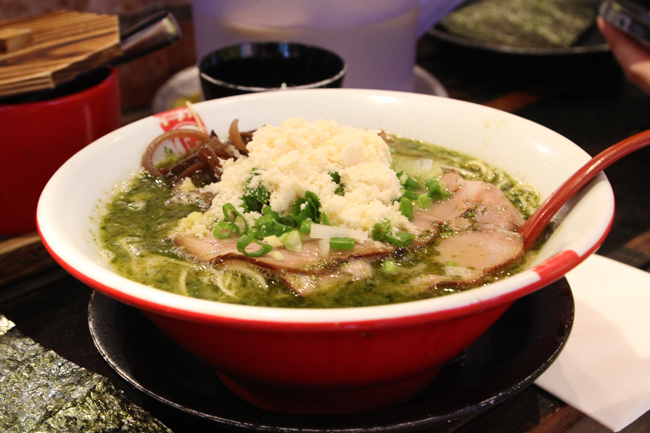 Our mission is to provide the most traditional and amazing ramens to ramen lovers. We hope you had a fab time in Butao and Hong Kong! Lovely!!! :) Love your blog. I'm a new reader, but will definitely be reading up! !